I mentioned in my previous review that I have spent the last month of year reading three novels by Jonathan Carroll. 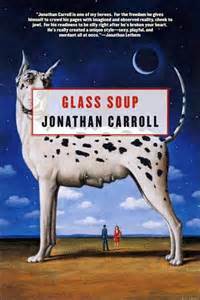 Glass Soup is the second of the Carroll novels and I will be posting a review on The Wooden Sea by the end of the year. These Carroll novels have given me a new perspective towards the fantasy genre and how far the boundaries can be extended outside of the Tolkien/Lewis/Jordan/Sanderson type of traditional fantasy. Glass Soup is the sequel to White Apples and continues the story of the philanderer, Vincent Ettrich and his true love, Isabelle Neukor. Both of them have crossed over from life to death and back to life again. Isabelle is carrying their special child, who can restore the balance between life and death. However, the agents of chaos are determined to keep Isabelle and the child in a place where that result can not happen. Carroll gives a philosophical and surreal perspective on love, life, death, and the afterlife that kept this reader interested throughout the novel. I will admit I thought the plot in White Apples was better executed than in Glass Soup. 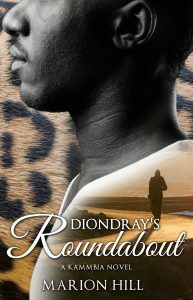 However, I still felt that Glass Soup was rewarding to read and a novel that deserves my recommendation. You can read Glass Soup as a standalone novel, but I would suggest that you read White Apples to get the full perspective of this duology.